This weekend, Taste of Toronto returns to the Garrison Common at Fort York this weekend from June 15-18. This delicious event brings together 25 of Toronto’s tastiest restaurants and a number of other food vendors outdoors. But year and after year, one of my favourite parts of the weekend long event are the Metro Master Class. The Metro Master Class allows 30 guests to attend a variety of different culinary sessions taught by the local Toronto chefs. These hands on cooking classes use only the freshest ingredients to create delicious in season disses. 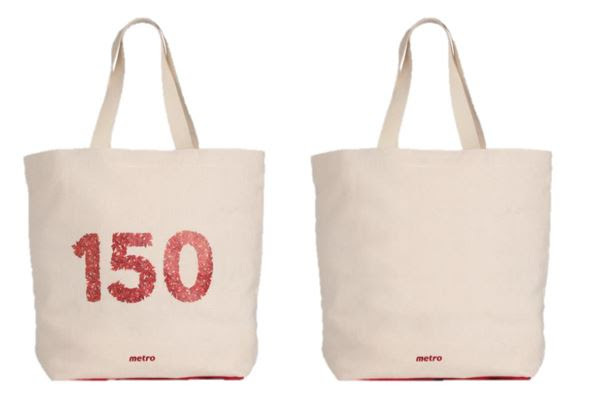 This year, Metro is celebration Canada by offering guests a limited edition tote designed by ela Handbags. The bags are also available in store all across Ontario. Click here to view this year’s full Metro Master Class schedule and list of participating chefs. Get an additional 25% off your Taste of Toronto Ticket with the promo code TOTMETRO.